Remember Kerrtu the cat? The wonderful black cat who was reading Fur Shui whose house is in Finland? 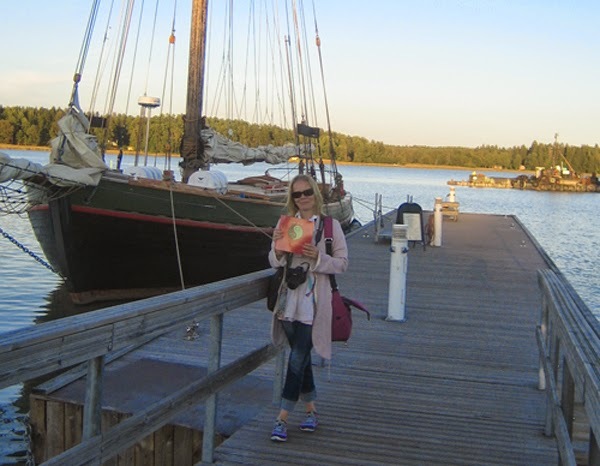 Here is Kerrtu's mom...Piia...in Loviisa, Finland with Fur Shui! Piia who runs Villa Karma invited me to Finland to teach Feng Shui, Animal communications, and speak on Huna in Helsinki this past fall. We had a wonderful "Fur Shui" workshop in Loviisa all hosted beautifully by Villa Karma! Thanks Piia for helping spread the word and learning of Feng Shui and communicating with nature...was magical!